When you are ready to take the boards to become a certified pediatric nurse practitioner there are a lot of details to consider including content, test preparation, and cost. Two governing boards offer the exam: the Pediatric Nursing Certification Board (PNCB) and the American Nurses Credentialing Center (ANCC). Please note, if you are looking to become a pediatric nurse practitioner in an acute setting, only the PNCB offers that specific exam. Here is an overview of the key elements that you should consider as you decide which pediatric np exam is best for you. 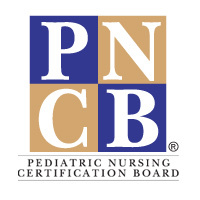 The PNCB says that its national exams for pediatric nurse practitioners are the “only certification exams” collaboratively designed by Certified Pediatric Nurse Practitioners (CPNPs), Certified Pediatric Nurses (CPNs), (Pediatric Primary Care Mental Health Specialists) PMHSs, and pediatricians. All PNCB exams are approved by the Department of Veterans Affairs (VA). Veterans can now be reimbursed for the cost of their exam. Pediatric Nurse Practitioners (PNPs) who pass this exam earn the designation Certified Pediatric Nurse Practitioner – Primary Care (CPNP® ) or Certified Pediatric Nurse Practitioner – Acute Care (CPNP-AC®). The credential can be used as long as CPNP certification is actively maintained, which is linked to licensure in most states. You must be a graduate of an acute care or primary care program in order to sit for the exam in that area of specialty. The ANCC is a subsidiary of the American Nurses Association and certifies individual nurses as well as accrediting healthcare organizations that provide and approve continuing nursing education (CNE). It also recognizes exceptional nursing practice environments through its Magnet Recognition Program® and Pathway to Excellence® programs. PNPs who pass this exam are awarded the credential Pediatric Primary Care Nurse Practitioner-Board Certified (PPCNP-BC). The credential is valid for five years. The ANCC does not offer a pediatric nurse practitioner credential for acute care. What content is covered by the PNCB and ANCC exams? The PNCB website provides a comprehensive outline of the exam content and resources. A detailed listing of the exam content can be found on the ANCC website. How long is the Pediatric Nurse Practitioner test? How many questions does it contain? PNCB: There are 150 scored test and 25 non-scored pre-test questions. You will not be able to distinguish between scored and non-scored questions. Non-scored questions help PNCB test newly written questions for future exams. The total testing time is three hours. The exam is delivered by computer at 300+ Prometric Testing Centers throughout the US by appointment only. ANCC: There are 200 questions. The total testing time is four hours. You can locate Prometric exam test sites, addresses, and phone numbers online. PNCB: Before you leave the test center, you receive pass/fail status. You will receive official results by mail 2-3 weeks after testing. ANCC: You will receive a copy of your test results before you leave the test center. If you do not receive a copy of your results at the center, the ANCC requests that you contact them. What is the PNP exam pass rate? For the CPNP-PC exam, the pass rate was 92% in 2016. For the CPNP-AC exam, the pass rate was 74% in 2016. For the PPCNP-BC, the pass rate was 79% in 2016. PNCB: If you do not pass the PNCB exam, you will receive, within 2-3 weeks of the exam, a detailed report showing your performance in each content area. You may take another form of the certification exam up to four times within a 12 month period. If you are unsuccessful two or more times, the PNCB requests that you contact the Customer Service Department for additional instructions. You can reapply after you receive your official test results and you will be assigned a new 90-day testing window. You can complete your re-examination application online, and submit questions to [email protected]. ANCC: If you do not pass the ANCC exam you can retake the exam after a 60 day period from the date you last tested. You can only retake the exam three times during a 12-month period. All candidates who retest must submit a retest application and meet eligibility requirements in effect when the retest application is submitted. You can apply to retake the exam online, call Customer Care at 1.800.284.2378, or email. What should I study for the Pediatric Nurse Practitioner exam? There are many resources for board prep for both the PNCB and the ANCC. The best answer is that you need a study plan. Outline the resources you want to use (always use more than one). 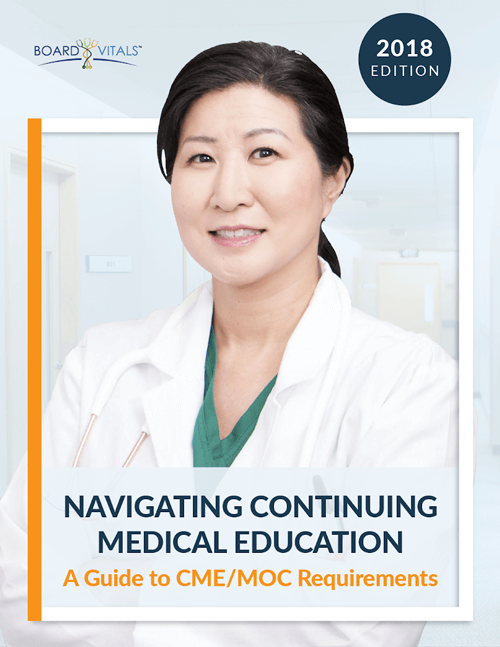 Master the material from school and your clinicals. Use the resources found on board websites. Both the PNCB and the ANCC offer outlines of the exams so you know the content areas on which you will be tested. PNCB also lists textbooks that can be used and practice tests. Practice Questions! Simulate the real exam by taking as many pediatric np practice questions you can find. What do the exams cost? These prices include a $140 non-refundable administrative fee. So, Which Board Exam Do I Take: PNCB or ANCC? As you can see, there are differences between the exams offered by each organization. The biggest difference is that the AANC does not offer specific board certification for pediatric nurse practitioners in an acute setting. If that is the certification that you want, then you will have to take the board exam with the PNCB. Beyond that, the question really is: which exam best suits your specific area of interest? Review the exam content outlines and see which one best suits your experience and academic strengths. You will be able to get a good feeling for the exam as you review the content. We can help you bolster the areas in which you feel you need more preparation. A study plan is key and good preparation is right behind it. For both exams, BoardVitals offers a PNP question bank with more than 1400 questions written by top performing PNPs and clinicians that cover topics found on both the ANCC and PNCB exams. Want free practice? Start with a free trial. Good luck studying!